In the early 1960s my family lived for a short time in Daws Heath, Essex, across the road from a Chapel belonging to The Peculiar People, a Nonconformist sect almost unique to Essex. On Sundays and sometimes during the week we would hear stirring hymns emanating from the small, four-square chapel, but otherwise chapel life didn’t intrude into our own, neither did the activities or beliefs of the congregations of the Elim Pentecostal Church in nearby Hadleigh, which also counted a Baptist Chapel and a Methodist Church (as well as a fine Norman Anglican building). The ‘low’ churches – as they were often termed – were still quite active at the time across the county. Dissent and Nonconformism were particularly strong in East Anglia where, in the words of the Anglican preacher and writer, Ronald Blythe, even the wind was doctrinal. Philip Hoare mentions the Peculiars in his inspired study of early Victorian religious enthusiasm, England’s Lost Eden: Adventures in a Victorian Utopia (2005), though he refers only to the ‘Plumstead Peculiars’, one of only two branches outside Essex. At its height the Peculiars had more than 50 chapels within the county boundaries. The Peculiar church had its origins in Rochford in the 1830s, forming as a result of the religious epiphany experienced by local farm labourer, James Banyard, whose life until then had been decidedly drunken and quarrelsome. Banyard attached himself initially to Wesleyanism and then subsequently established his own sect. 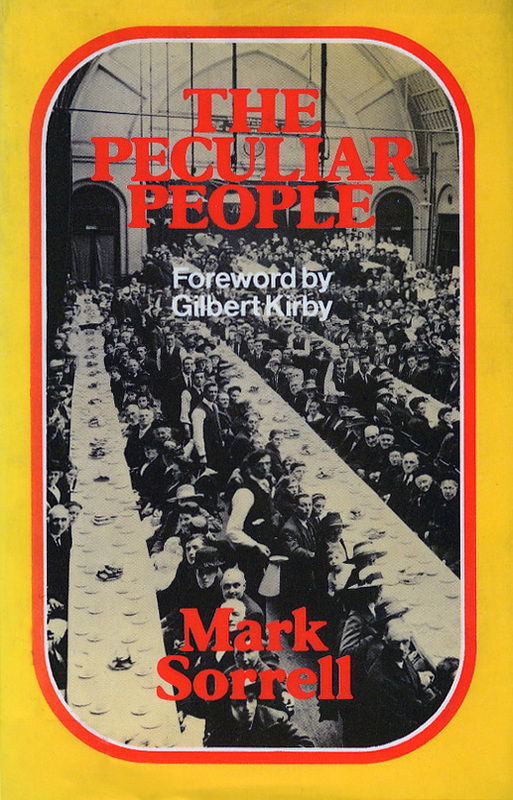 The story is told in Mark Sorrell’s fine history, The Peculiar People (1979), since supplemented by newer archive material and recollections, including those of novelist Bernard Cornwell on Desert Island Discs in 2004, where he recalled his early life as the adopted son of a Peculiar family. Cornwell’s new family was well known locally when I was growing up, the father being a successful builder. A friend of my family who worked as a carpenter for the firm used to tell us that biblical texts were always inserted into the weekly pay-packets of the workers. In his own words, Cornwell’s childhood memories were ‘very ugly’. No television, cinema, comics, unsuitable books or music; and the threat of eternal damnation hung over all those who failed to convert. On one occasion he was with his father in Rayleigh High Street when they passed by the memorial to four Protestant martyrs burned in 1555. Cornwell’s adoptive father said that he himself expected to be martyred one day. In the chapel the family attended there was a ‘mercy seat’, where the as yet unconverted could sit and await the divine call. At the age of sixteen the would-be novelist walked out of the house one day and never returned. 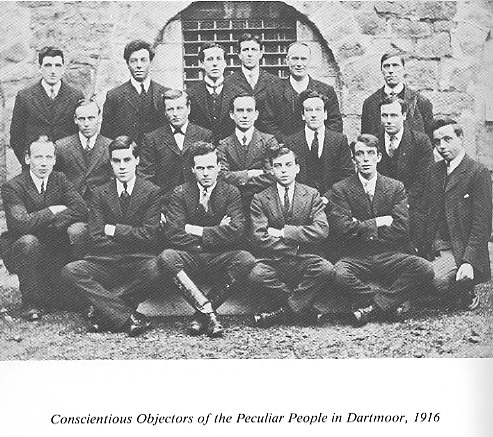 Cornwell disliked the Peculiars from direct experience, though in general members were tolerated by outsiders – except when it came to the issue of divine healing. Like the Plymouth Brethren, the Peculiars eschewed the use of doctors or any form of medical intervention, preferring the healing power of prayer. When this involved cases of children (especially of those very seriously ill), public opinion, and at times the law, took against them. This matter also led to the first of several doctrinal schisms, when Banyard’s own son became seriously ill and after agonising at length a doctor was called in, causing a church split. In the twentieth-century, distrust arose for another reason, as the pacifist beliefs of the sect led to many being imprisoned as conscientious objectors, a position regarded as virtually unforgiveable during the First World War, less so during World War Two. In the recently published third and final volume of Michael R.Watts’ definitive history of English Nonconformism, The Dissenters (2015), we are given the occupations of male dissenters in Essex from 1840 – 1959. The ‘low’churches were peopled mostly by unskilled workers and their families in the early Victorian period, though by the late 1950s, congregations had a much higher proportion of skilled workers. Nonconformism was essentially a working class body of faith, its non-hierarchical and plain-speaking tradition fitting more comfortably with everyday sentiments and lifestyles. Former Labour Prime Minister Harold Wilson famously said that the Labour Party owed more to Methodism than Marxism, though one should be careful of saying that the Nonconformist spirit in Essex was imbued with the same sense of social solidarity enjoyed by its Northern industrial counterparts. Rather it was perhaps more firmly attached to the principle of individual self-determination, preferring not to be told by others what to think or do. This might help explain the volatility of political attachment in Essex, sometimes regarded as a bellwether for the nation as a whole. The last time I was in Tillingham, near Bradwell-on-Sea, I noticed that the Peculiar Chapel had been demolished; many others have disappeared. 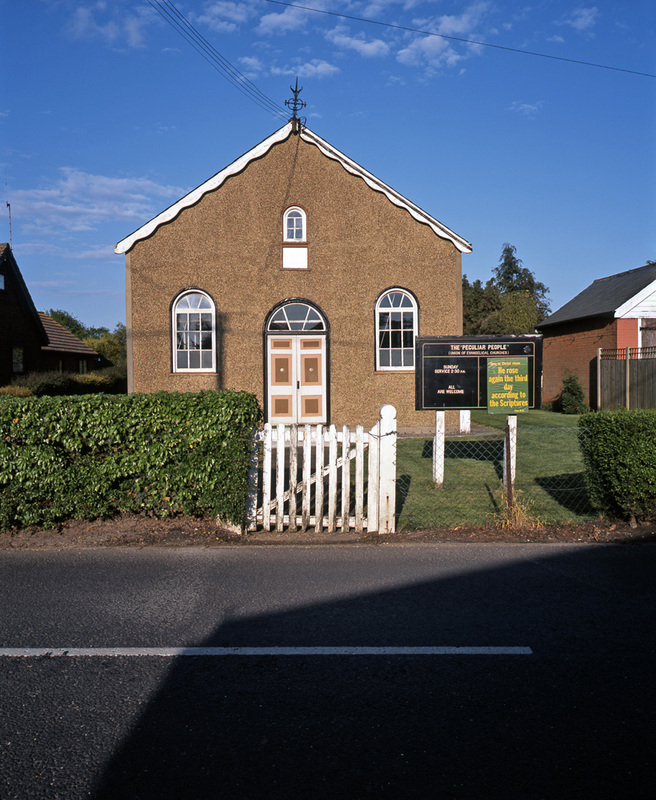 The loss of these smaller, often modest workaday religious buildings, which anchored so many Essex towns and villages in a long tradition of Nonconformist life and culture, is cause for concern. One does not have to be a religious revivalist or antiquarian to regret the way in which the many traces of public memory embodied in these buildings are being erased from the landscape and townscape.